The aim of sacrifice, like all other fundamentals of Islam, is to imbibe piety and self righteousness. It also promotes the spirit of sacrifice for a right cause. HOPE- an NGO in Pakistan is striving hard to reach out to the poor and less fortunate this Eid. There is nothing dearer to Allah during the days of Eid al-Adha than the sacrificing of animals. Sacrifice, as practised by the Holy Prophet Muhammad (Pbuh) is an essential religious ritual of the Muslims – replicating and commemorating the sacrifice performed by Prophet Ibraham in its truest spirit and essence. God put Prophet Ibrahim to a most difficult trial, the details of which are described in the Quran. Qurbani meat is divided into three parts; one for the family, the other for the neighbor and the third portion for the poor. And so Muslims fulfill their obligation and distribute some meat of goats, cows, sheep and camels to the underprivileged. HOPE- a Health NGO in Pakistan, was actively involved in the distribution of sacrificed animals among the deserving families this Eid-ul-Azha. 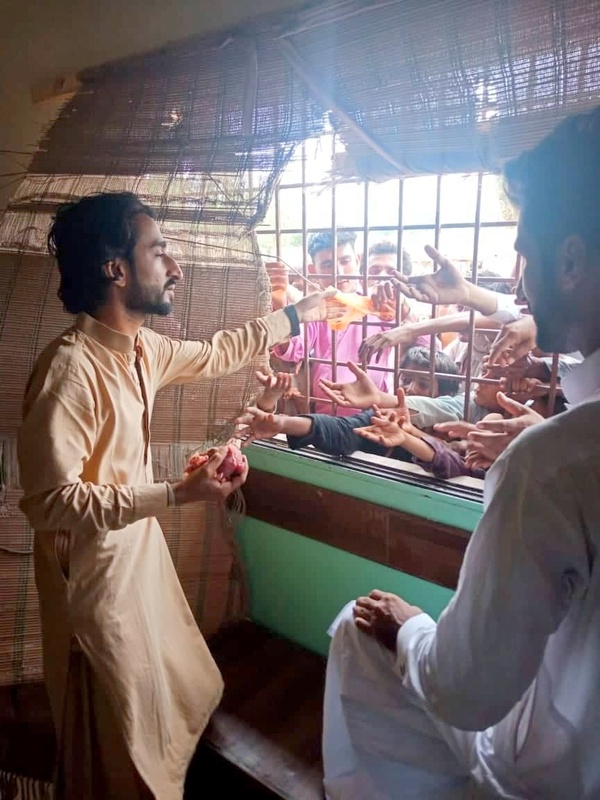 HOPE carried out its annual Qurbani on all three days of Eid and sacrificed a total of 18 Cows which was distributed benefitting a total of 3800 families whilst 17 Goats were sacrificed and meat was distributed to 600 families. HOPE under the supervision of Dr. Mubina Agboatwalla- a child specialist in Karachi, distributed meat in every nook and corner of Pakistan so that no one if left hungry and unhappy this Eid. 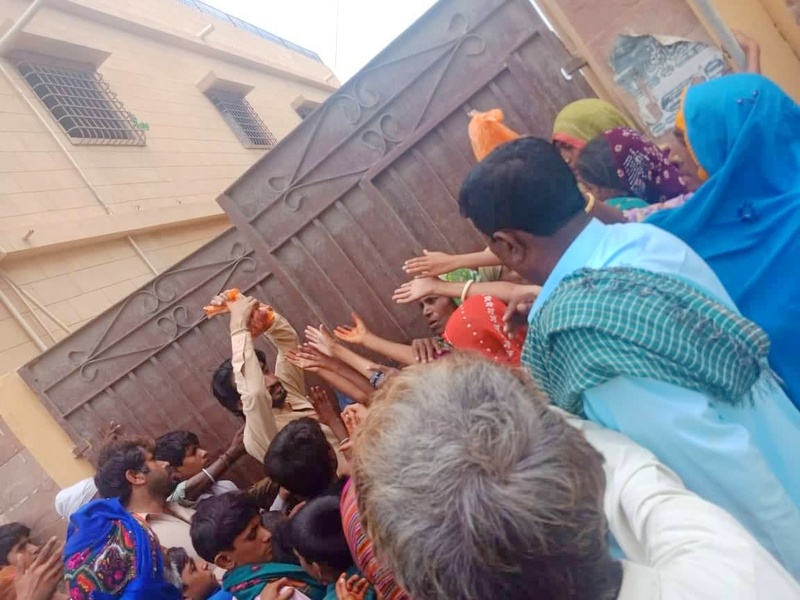 Areas included: Rehri Goat, Bhens Colony, Ghaggar, Gadap, Mujahid Colony, Bhittaiabad, Sachal, Bilal Colony, Zia Colony, Muzaffargarh, Sujawal, Badin, Thatta and Gurumandir, Karachi. HOPE USA chapter, Human Concern International (HCI) and many individual donors contributed for the share in cows and for goats. With the spirit of Charity, HOPE was able to put a smile to those underserved population who otherwise starve themselves to sleep every night. HOPE has always been a forerunner in carrying out those activities which benefit humanity in any way possible. Muslims all over the world celebrate Eid-ul-Azha in the month of Zil Hajj, commemorating the great sacrifice of Hazrat Ibrahim (PBUH). In this regard, some of the companions asked the Prophet (PBUH) regarding the significance of this sacrifice, the Prophet (PBUH) is reported to have replied: “It is the Sunnah of your father, Abraham (PBUH)”. 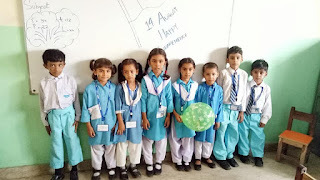 Therefore HOPE-an NGO in Pakistan, under the leadership if Dr. Mubina Agboatwalla- a child specialist in Karachi, strives hard to collect funds and carry out this holy activity at different locations of HOPE including its schools and hospitals. HOPE has an extensive network of hospitals and schools in Karachi, Thatta, Sujawal, Muzaffargarh, Muzaffarabad, Badin, (AJK) in which extremely poor families reside. These families wait all year round for HOPE's generous distribution of meat and that is what makes their Eid a time to rejoice. This Eid-ul-Azha, let HOPE, perform Qurbani on your behalf and allow HOPE to distribute meat and alms to the poor and needy. Support HOPE in reaching out innumerable downtrodden areas of Pakistan. Give your donations to HOPE because your actions may light up someone's Eid. · Share a cow, 1 person donation will cost 11000. 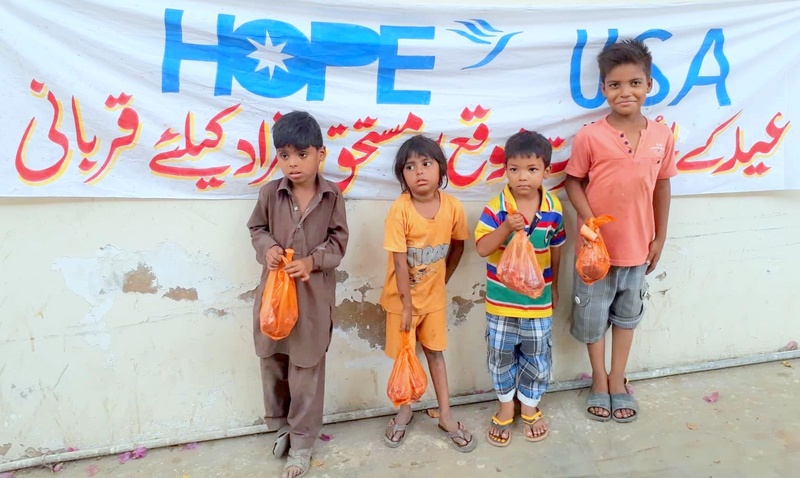 HOPE – an NGO in Pakistan, never forgets the poor and needy on any event and occasion; giving meat to the destitute as required spreads happiness and love. It enables them to enjoy the important occasion of Eid-ul-Adha as a time of celebration and festivities. Hope has successfully carried out its Qurbani activities annually and like every year, this year is no different. 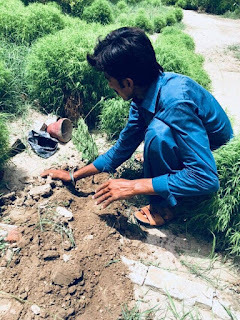 HOPE does not let any part of the Qurbani Animal go waste and hence collects all the skin of the animal and encourages other donors to donate the animal’s skin if it is going in the garbage. This Eid help HOPE put a smile on every child’s face. Pakistan has gotten its independence on 14th august 1947 since then people of Pakistan and the government of Pakistan celebrating the day of independence, which reminds us of attainment of freedom from British rule. Pakistan day is celebrated in every city and village of Pakistan, with great zeal. The whole country is bleeding green with the Pakistani flag. Color full events chalked out in a befitting manner and pay respect to those who gave sacrifice for their mother land to give a bright future to the next generations. From the beginning of august radio stations and TV channels play patriotic songs (Millinughmay) and various TV shows and programmed highlights the history culture and achievements of Pakistan are broadcast. HOPE- an NGO in Pakistan, was also a part of this grand celebration when HOPE school- Zia colony rejoiced on the festive occasion of 14th August. Students from Nursery to Matric were made to sing the national anthem in the assembly while flags were distributed amongst the children. 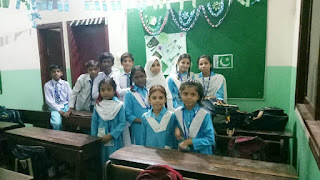 Pupils were overjoyed to have been given a chance to sing patriotic Pakistani songs on the podium. 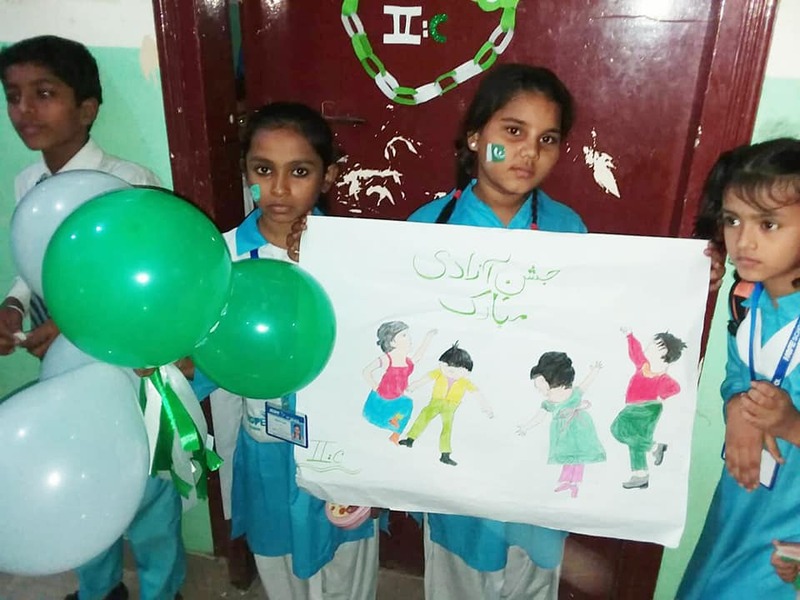 HOPE- an educational NGO in Pakistan, repeated the same activities with the morning and evening shift so that no one felt left out. 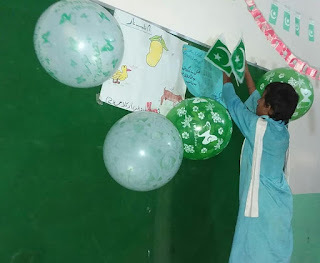 Students decorated the classes however they liked with green and white being highlighted as the main colors. 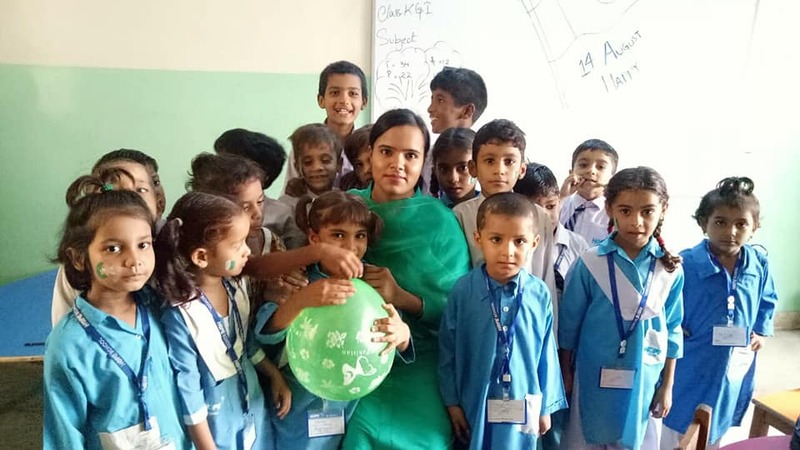 Under the leadership of Dr. MubinaAgboatwalla- a child specialist in Karachi, HOPE strives to flourish and continue its philanthropic work for the betterment of the society and Pakistan as a whole. Pakistan is a country made up of the blood and sweat of those who gave their lives fighting for this great nation. We as Pakistani’s must take pride in being citizens of this country which has given us everything we own today. It is our duty to help those in need, not only as an act of humanitarian but also as a civilian of Pakistan. The increasing need for environmental conservation has become prominent in the past few years. Several organizations have started initiatives to promote environmental welfare and for that reason HOPE- an NGO in Pakistan has initiated the tree plantation activity. 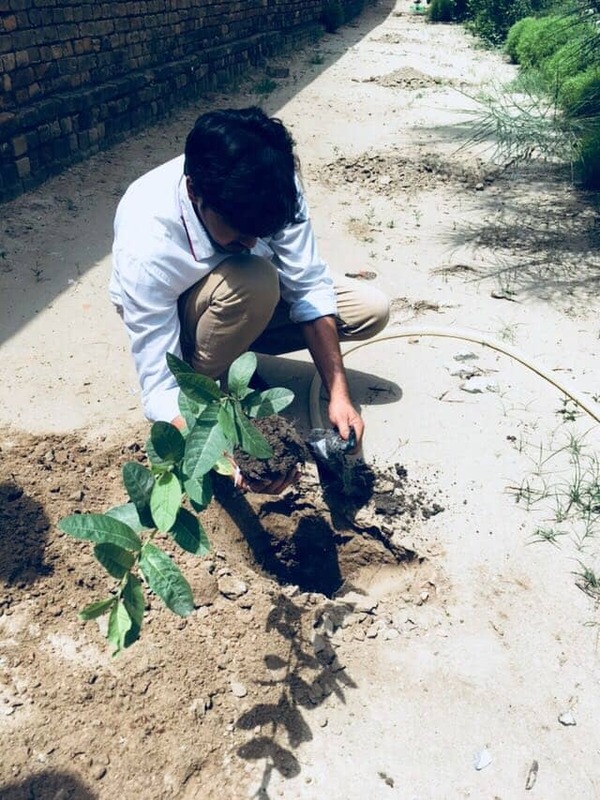 Tree Plantation is poised to effect a positive change in the world's forests growing fast growing trees on a global scale. The Tree plantation program has already begun in Cities like Badin and Thatta and is now at Phase 1. Phase 1 depicts three types of plants: lemon, guava and Java Plum. The sites have been selected and 200 plants have been decided upon for plantation. These trees will have a tremendous impact on climate change. 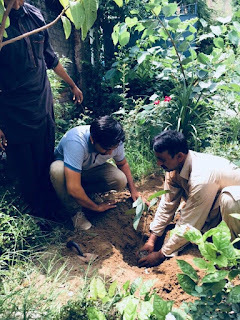 Some of the very obvious benefits that tree plantation has is: Trees provide oxygen, they cleanse the air, prevent water pollution, conserve energy, most importantly they provide for wood which in turn increases the timber market production and boosts the business. 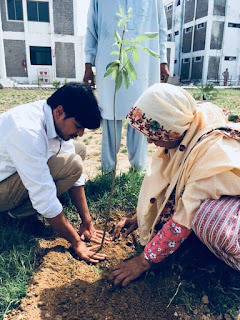 Under the Leadership of Dr. Mubina Agboatwalla- a child specialist in Karachi, HOPE- a health NGO in Pakistan is dedicated to improving the condition in Pakistan, by way of all necessary means which also includes tree plantation. Once phase 1 is completed, HOPE will move on to searching for more sites where trees can be planted, while those which had already been planted will be well looked after. HOPE wishes to combat climate change through such activities.